Hot plate coming through- literally! 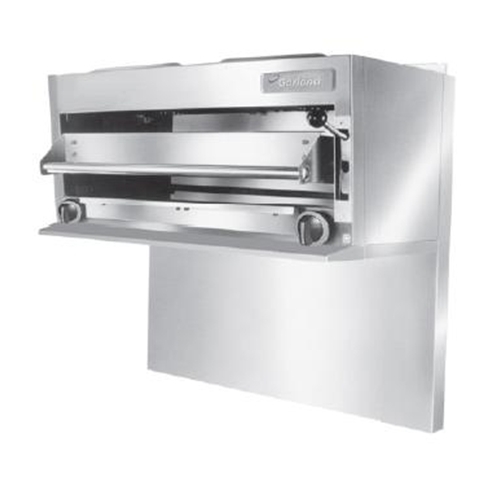 As the Garland GIR36, 36” wide, gas, Salamander Broiler atop your G36 range melts cheese, browns casseroles and reheats entrees to perfection. With (2) 20,000 BTU infrared burners each offering its own hi/lo valve, and adjustable rack you're in control. Surrounded in stainless steel, the Garland GIR36's exterior's superior features match its interior versatility.